Games of the XXII Olympiad, held in July-August 1980 in Moscow, have already become history. But in the memory of thousands of athletes participating in the competition, Muscovites and guests who have come to our country from many countries, hundreds of millions of TV viewers, they will forever remain a holiday of youth and health. Also, the clearest proof of how friendly and fruitful people can live and work together, cooperate and compete regardless of nationality and skin color. The capital of the USSR was the first city of the socialist state in which the Olympic Games were held, the largest sports competitions of our time. Admittedly, they were a great success. 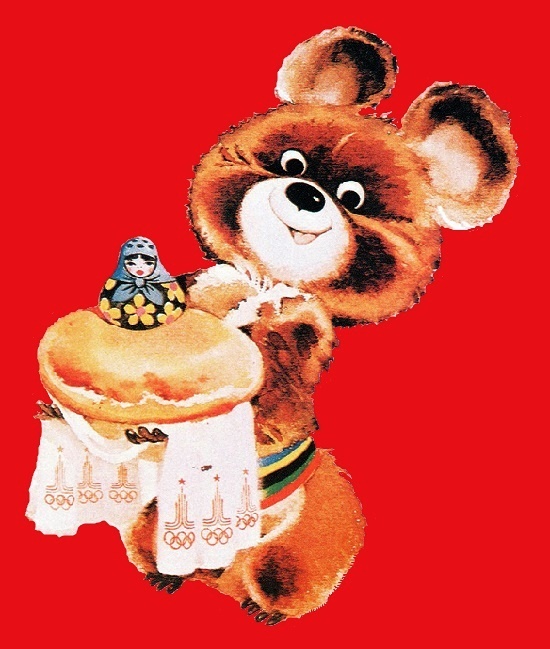 Soviet art masters made an important contribution to the atmosphere of festivity and hospitality that distinguished the Games. Among them designers, monumentalists, graphic artists, painters, sculptors, poster and applied artists. “I like to picture ordinary people not only in work, but also to show their cheerfulness, fun, and games. 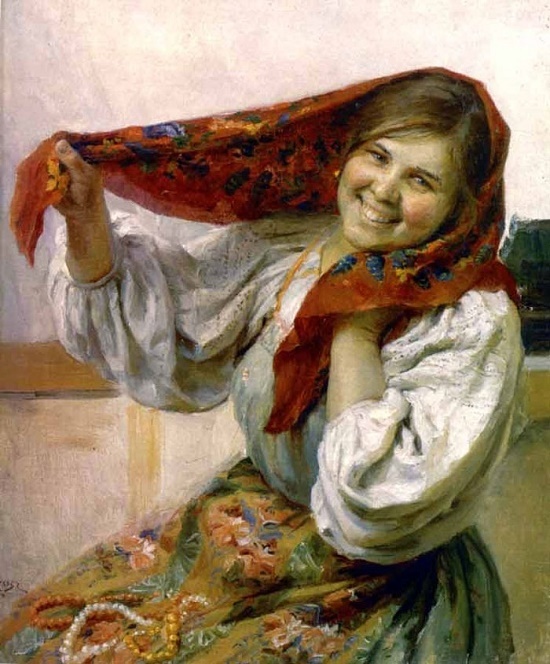 I think that in this inexhaustible optimism of a simple Russian man is his great creative power, firm belief in a happy future”the artist wrote. Born in a poor peasant family, early orphaned, Fedot Vasilievich Sychkov spent his childhood in the small village of Kochelayevo, Narovchatsky district, now located on the territory of the Republic of Mordovia. 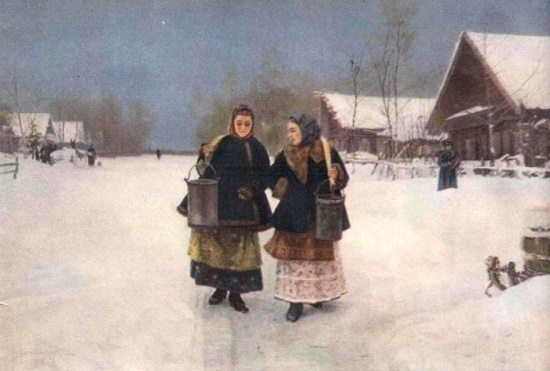 Sychkov showed his ability to paint in early childhood, but how could a simple peasant’s son count on learning the skill of an artist in the Drawing School, or even more so in the Higher Art School at the Academy of Arts? No, of course, this could only happen in a fairy tale. So, the talented boy painted icons, landscapes and portraits of fellow villagers. Fortunately, the fame of him went far beyond the icon-painting studio. In 1937 he became Honored Artist of the Mordovian ASSR, and in 1950 awarded the title of Honored Artist of the RSFSR. Fedot Vasilyevich Sychkov (1870-1958) – Russian (Soviet) artist, Honored Artist of the Mordovian Autonomous Soviet Socialist Republic (1937), Honored Artist of the RSFSR (1950), People’s Artist of the Mordovian Autonomous Soviet Socialist Republic (1955). Born in Moscow, Irina Vasilievna Shevandronova (1928 – 1993) studied at the Moscow State Art Institute of Surikov, workshop of V.G. Tsyplakov (1947-1953). Her diploma work “Children in the village library” became one of the best genre paintings of 1950s Soviet Art. 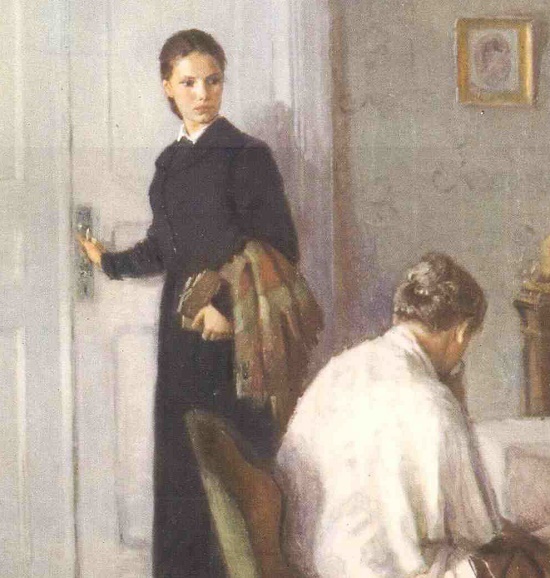 And in 1953 she could hardly suggest that the Tretyakov gallery would purchase it. Besides, this painting for many decades decorated pages of school textbooks in the USSR. 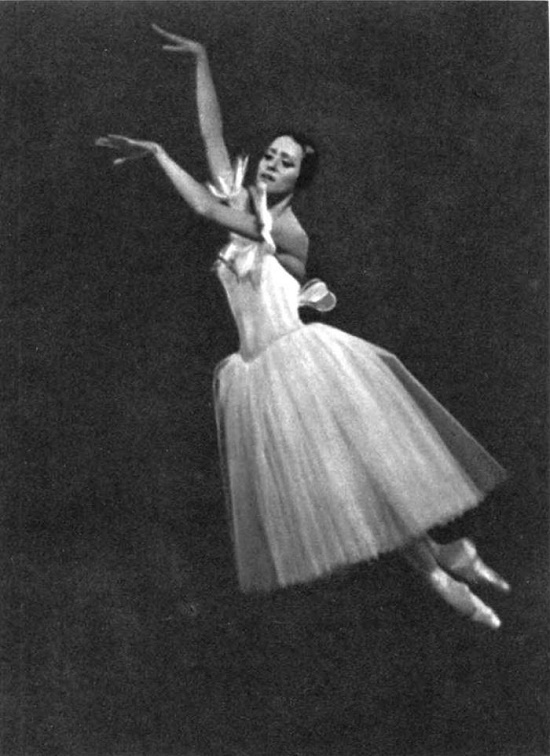 Also, in 1963 Irina Shevandronova received the honored title of the People’s Artist of the RSFSR. 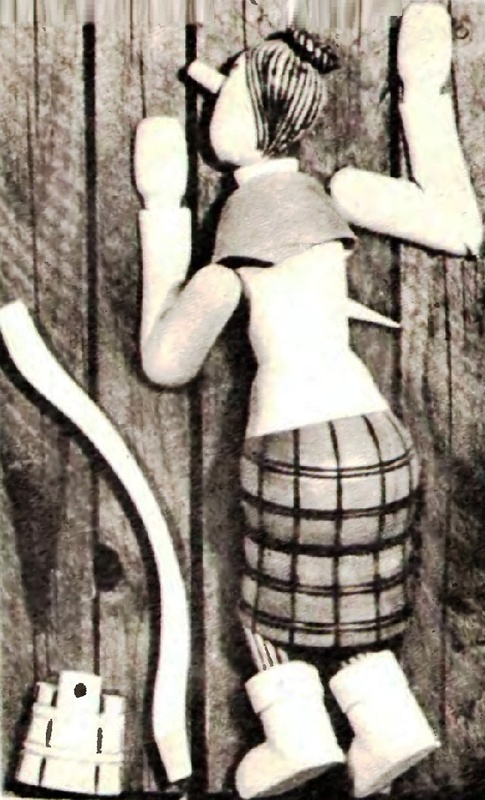 Noteworthy, the children’s theme for a long time became a distinctive feature of Shevandronova’s creativity, which allowed her to take a special place in Soviet art. 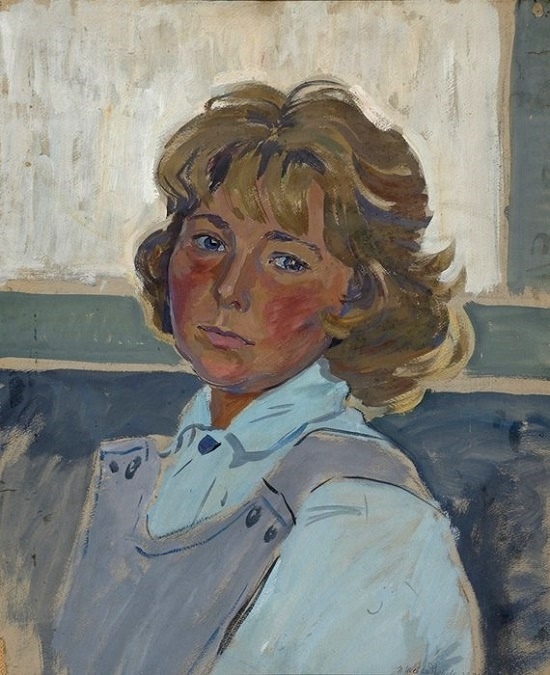 Among the artist’s iconic works are also “Roads of Youth” (1970), “Young” (1974), and a series of children’s portraits.